Last minute gifts! 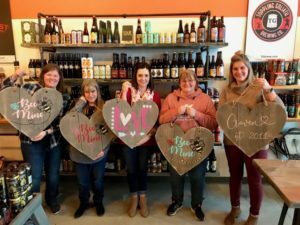 Valentine wood hearts – TO GO! 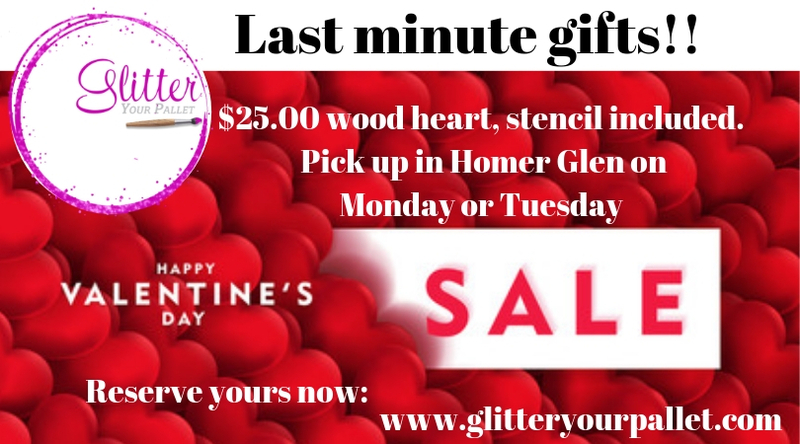 Purchase the GYP wood heart pre-stained, pick a stencil and take it home to paint. Just in time for last minute Valentine Day’s gifts. One heart, 19″ tall x 23″ wide with pre-drilled holes in the heart. Choose stencil at pick up. Regular price was $50.00 – YOU PAY $25.00 Your savings is 50% OFF. This is a TWO STEP PAYMENT. $10.00 deposit due now. $15.00 cash only at pick up. Designate in order notes if you will pick up Monday 2/11 or Tuesday 2/12 in Homer Glen. Please include phone for coordinating pick up time.